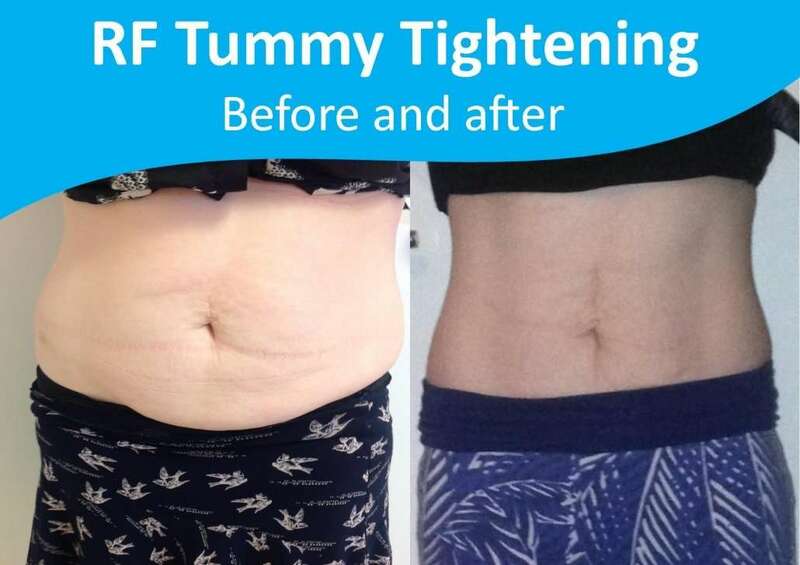 What is RF Skin Tightening? RF – stands for radio frequency – is a non invasive treatment to target loose and sagging skin through heat. The heat penetrates deep into the layers of the skin and promotes collagen production and smooths the contours of the skin. RF Sking tightening can also be used on areas of the face and you can find out more about that here. 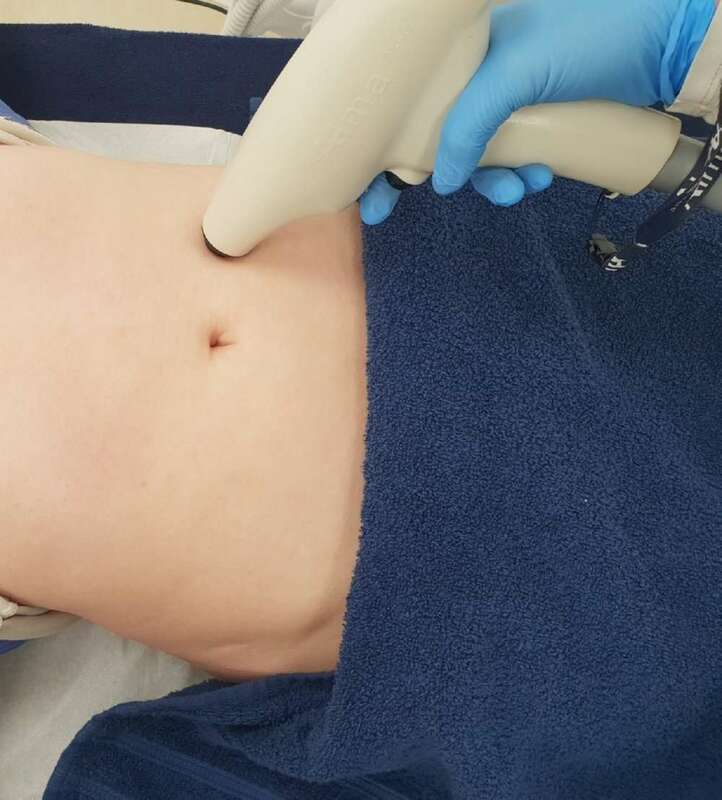 RF Skin Tightening works by gradually heating the dermal and subdermal tissue to tighten and re-contour both superficially and volumetrically. Collagen fibres contract and multiply which firms and improves sagging skin and smoothes away unsightly cellulite. Connective tissue contracts to improve skin’s contour, texture and shape. Finally circulation is improved which improves redness and overall volume. One to three inches can be reduced after 3-6 treatments, with excellent long-term results. Hips and thighs appear slimmer, abdomen is flatter and bulges are reduced Your therapist will precisely heat an area of the inner layer of your skin using radio frequency technology. As the dermis is heated, a natural reaction occurs that promotes the creation of new collagen, while simultaneously releasing toxins in the fat and draining retained fluids. This gives your skin back its smoothness, shape and elasticity with no anethesia or long recovery time. The treatment works by heating up the skin gradually so you will feel warmth in the skin. We monitor the skin’s temperature throughout the treatment to reach the optimum temperature. From the very first treatment, collagen fibres are contracted, giving an instant firmer and more toned appearance. Normally a course of 6 sessions is advised to achieve and maintain optimal results.